Hello, everybody! And happy summer! In this post, I am going to show you how to teach some basic critical thinking skills to young children in a way that they can easily understand. Explaining things such as inference, prediction, cause and effect, and forming opinions to children as young as Kindergarten and first grade is really not as hard as you might think! In fact, many of the thinking skills that are expected of children these days are questions that might actually come up in natural conversations, anyhow! I think that you will be pleased to find that you are already doing most of this “instinctively” already. So read on and get ready to give yourself a pat on the back! Children must naturally infer many things by looking at pictures in books when they cannot yet read. If you find that you are already asking most of these types of questions already, then you are doing great! Now just label what you are actually doing (as far as critical thinking skills are concerned) in your mind, and find a way to remind yourself to ask those types of questions deliberately and regularly. There are different ways to do this, but my favorite way is to keep Critical Thinking Question Cards (or cards with sample questions) near the chair that you usually sit in when you read to your students, since questioning students during literacy times is a natural time to pull in those critical thinking skills. You can get this set of my Critical Thinking Question Cards for Young Children here for $2.00. They are also on my TPT store. Teaching children to answer critical thinking questions about stories that are read aloud to them is a win-win situation, especially when you consider that discussing these questions with the children will surely enhance their listening comprehension in general, PLUS they’ll be working on their oral language skills, too! I always tell the kids that these thinking games are GREAT, because there really are no wrong answers, except simply refusing to try. The worst thing they could really say is nothing. Even a silly answer is better than no answer at all! Then they just need to try to explain why they think so, supporting their reasons (hopefully) with information they learned from a text or from their life experiences. Kids get used to there being just one right answer, and the rest of the answers are wrong. 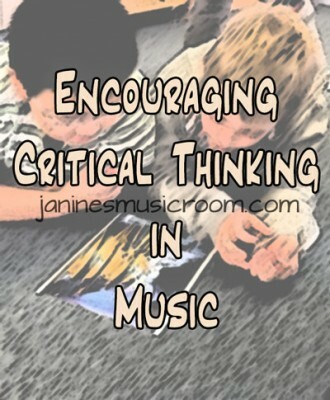 But that is not the case with critical thinking activities, and that is GOOD! Here is one great little questioning trick that helps encourage children to keep thinking when they say that they do not know the answer. Just say, “If you did know, what would you say?” This came from a post in a blog called The Cornerstone for Teachers. (Sorry, I can’t seem to find the exact post at the moment, so I linked to the home page.) I think that Angela, the author, also mentioned that she asks children sometimes to tell them what “one of the other kids would say, if they knew.” That relieves the child of the pressure to get it right; he is just answering for someone else, LOL! A natural time to ask critical thinking questions is before, during, and after reading books aloud to children. The biggest obstacle is really just a matter of getting used to these “Fancy Pants Words” in relationship to KINDERGARTEN or FIRST GRADE and realizing that YES: you CAN explain them to your little ones, and YES- many of them will be able to answer your questions. Just bring it down to their level, which is the key to teaching anything to young children- breaking things down to their most basic and tiniest steps. Teachers and parents of young children do this all the time! Why should thinking skills be so much more intimidating or different? I think I can, I think I can, I think I can…. Here is a little downloadable graphic on how to explain critical thinking skills to young children that I created to help you along. You can download it here. This is how I think about each of the critical thinking skills below, at least in relationship to the early childhood classroom. Hypothesize: Take a really smart guess, based on what you already know. Example: Why do you think that foxes and wolves always seem to be the bad guys in story books? This is Heidi’s version of the Gingerbread Man, in which the children act out the play! It comes with a read along, sing along CD. Develop a Logical Argument: Tell us why you believe something is true, and really think for a minute because I’m going to ask you to tell me a lot about why you think so. Example: What do you think would have happened to the animals in the mitten if the mouse had not decided to sit on the bear’s nose? Do you think that the mitten would have popped? Tell me more why…. Now tell me another reason why you think so. These are some of Heidi’s former students performing in her musical play, The Mitten, which is based on the same Ukrainian folktale that Jan Brett retold in her book of the same name. Here is a link to find out more about Heidi’s Musical Primary Plays for young children! Predict: Guess what will happen next. Example: David just broke a vase with his baseball bat. What do you think is going to happen next? You can get free directions to teach your kids how to draw David from the No, David! books by David Shannon here. Cause & Effect: The cause is what started it and the effect is what happened. Example: Roll a marble down a ramp. Ask, “What made the ball move?” (Or, what started the ball moving? That’s the cause.) What happened then? (We had a bell at the bottom of the ramp.) That’s the effect. Infer: Look at the picture, and tell me what you think is happening and why. Example: Show a picture of a broken window next to a baseball bat and ball, and have the children infer what happened. You could do this with nearly any pictures in books. Clifford books are great for this. The author doesn’t tell you what happened; he implies it and then lets the children figure it out by looking at the pictures. These pictures are from the book, Clifford’s Christmas by Norman Bridwell. Connect the Text to Self: Has anything like this ever happened to you? Example: The little bird is sad because he does not know who his mother is, and he feels lonely. Have you ever felt lonely? Evaluate: Decide whether or not something was a good idea or a bad idea. Example: The children let the Cat in the Hat in the house when their mom was not home. Was that a good idea or a bad idea? Why or why not? You can find the instructions for this cute little Thing One & Thing Two hand print craft here. Draw a Conclusion: Think about the WHOLE story and then tell me what you think. Example: Is this story real or make believe? Why do you think so? Compare & Contrast: Tell me how these things are different. Now tell me how they are the same. Example: Look at the carrot and the pumpkin. How are they different? How are they the same? Form an Opinion: How do you feel about this? Do you like it? Why or why not? Example: Did you like this book? Did you not like this book? Why or why not? Would you like to bring Heidi to your school? Heidi does a presentation called Making Critical Thinking Skills “Do-able” for Young Children. Ask your administrators! Want a set of Critical Thinking Question Stems that are perfect for the early childhood classroom? Check out Heidi’s set here. These printable cards are $2 on HeidiSongs TPT store. In case you haven’t seen it yet, here’s a song from one of our newest DVDs, Number Jumble! Did you enjoy this post? Do us a favor and share it with your friends! And follow this blog by signing up email updates, or follow on Bloglovin’. You can also follow me on TPT! I’m also on Pinterest, Facebook, Twitter, Google+ and YouTube, too! Don’t forget to sign up for our email newsletter (on the left sidebar) for special deals and promo codes that you won’t find out about anywhere else. Critical thinking. This skill, highly valued by educators and continuously devalued by policymakers, is core to PYP or any other high quality education. The IB Mission Statement refers to an understanding that different people can be “right” in different ways. The Learner Profile not only includes “Thinker,” but also “Open-minded” and “Reflective,” which further develop critical thinking skills. Under educational reform that continues to stress the importance of testing content knowledge, educators hold firm that the purpose of education must be to develop students into critical thinkers, rather than vessels filled with factual knowledge. Critical thinking is a vital 21st century skill: The ability to imagine new and different solutions to problems, the capacity for compassion and desire for equality, the openness to different views and concern for one’s fellow citizens are the keys to improving our world. And in the Information Age, it is more important than ever that our students can look critically at the constant flow of information, knowing how to filter out fact from fiction, reality from sensationalism, and important issues from superficial (and often overemphasized) ones. So how to we cultivate critical thinking skills in our classrooms? First, we must understand that critical thinking is really a conglomerate of many skills including inference, synthesis, analysis, dialectical though, interpretation, and self-awareness. Critical thinkers must understand the perspectives of others and be aware of their own worldviews and biases, having the ability to understand their own “lens” and then try to look through the lenses of other people. Here are a few of the skills we can integrate into our daily lessons that will develop critical thinking. Children are naturally curious and want to own their learning. We must give them the ability to interpret and analyze the world around them through their own experiences, ask their own questions, and know where and how to find answers. Then they can engage with the world in meaningful ways and drive their own learning experiences as they follow their own inquiries. The more experience students have drawing their own conclusions, debating two sides of an issue, and reflecting on what happened, the more they will understand their own ways of thinking, and the more they will be open to understand how others view things. When you develop learning activities in our classrooms, involve the students in discovering and justifying opposing sides to an issue. Give them time—and prompting questions if needed—to analyze what happens and why. Create your rubrics and choose your success criteria with the students, giving them ownership of their learning but also helping them to think about what is important. Be transparent about what information is out there, how/where to find reliable information, and how to identify whether a source is likely honest or likely to be misleading. Talk them through the process of evaluating and making decisions, so that they are clear about what they need to consider when making their own choices. It is important that our lessons have real world connections. One way to do this is through role-playing. Students might apply their new understandings of texture and dynamics by composing a soundtrack to a movie scene. They might analyze a song by writing program notes for a concert or liner notes for a CD booklet. Even something as simple as a four-bar composition could be practiced and prepared for an in-class “concert,” where they introduce their piece, perform, and bow for an attentive and receptive audience (a good time to practice important audience skills as well!). If there is no context for your activity, you might wish to reconsider what the learning outcome is and why it is important. Coming up next: Click ahead to Part II to read how we can prompt students to think critically in any context, and how it all fits into the PYP Key Concepts. This entry was posted in Inquiry and tagged 21st century skills, critical thinking, inquiry, Learner Profile, learning, PYP, research skills, self-management skills, Thinker, thinking skills, transdisciplinary, transdisciplinary skills. Bookmark the permalink.